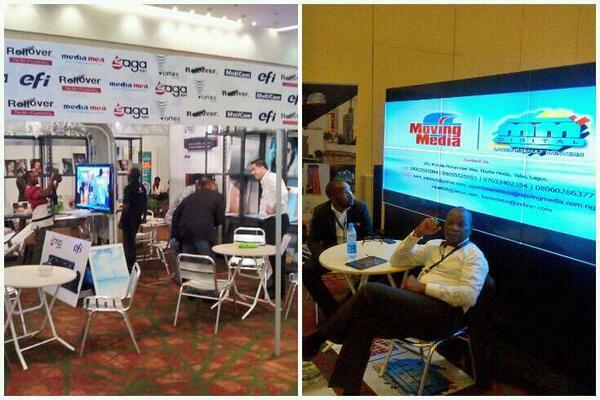 Ground breaking innovations and technologies in outdoor advertising were on display at the which was held between 25th – 27th of June, 2014 at the Eko Hotel Convention Center, Victoria Island, Lagos. The Exhibition, which kick-started the 3-day event, witnessed the presence of several outdoor practitioners all over the world who dazzled visitors with latest technologies. From international exhibitors like Watchfire Digital Outdoor, Konica Minolta, Hewlett Packard (HP), Saga Digital Link, Rotapanel, to indigenous companies such as Ro-Marong, Weatherheads group, Monumental displays, Aluminium Gold, New Crystal Communications, Primedia, Medspace Managers, TouchPoints, Media Hub, ValueMedia, each conveyed a message, with their resources displayed in grandeur, that the future is indeed bright for the outdoor advertising sector in Nigeria. Watchfire Digital outdoor, dealers in sales of LED screens, showed that advertising could be done on water using special equipments. Mr Lucky Wyrick, Territory Manager, offered live demonstrations of their equipments, giving in-depth explanation of its operations. When asked about the price of LED screens, Wyrick revealed that pricing is dependent on the size and the quality of the screen. 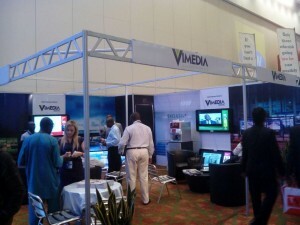 He disclosed that some screens go for about $2m while others cost $700,000. According to him, the variations in prices differ based on the client’s preference. Hewlett Packard (HP) also introduced their new large format printer with unique features that guarantee high resolution and high gloss production. 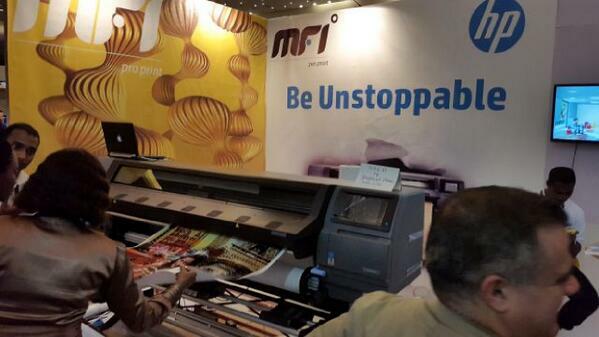 They offered free printing at their stand during the exhibition. Speaking with The General Manager of New Crystal Communications, Mr Ben Ilo, he identified the issue of erratic power supply as the greatest challenge facing Digital Out-Of-Home (DOOH) advertising in Nigeria. According to him, regardless of the efficacy of DOOH advertising, it is facing serious challenges due to irregular power supply in the country. He described the PHCN power voltage as insufficient in lighting the LED screens thereby forcing the company to depend highly on generators. The aftermath being an increase in the company’s cost of operation. 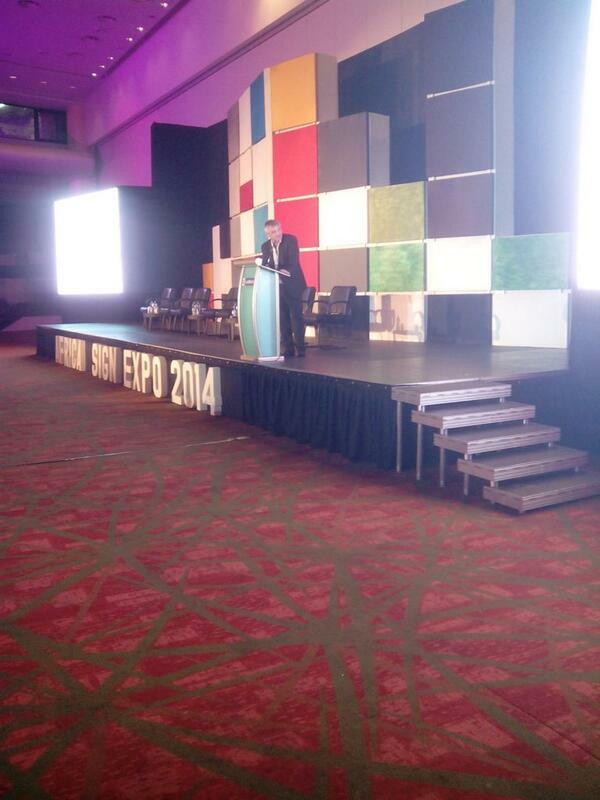 He therefore urged the government to ensure adequate electricity to ease the burden. The 2-day conference proved to be very enlightening and informative as participants discussed innovations, trends and challenges facing the outdoor advertising landscape. Several topics were brought to fore and discussed by members of the debate panel comprising top marketing communication leaders and brand consultants. Mr. Mark Flys, General Secretary of Federation Europeen Publicite Exterieur, describes the activities of area boys within the outdoor sphere as extortion. 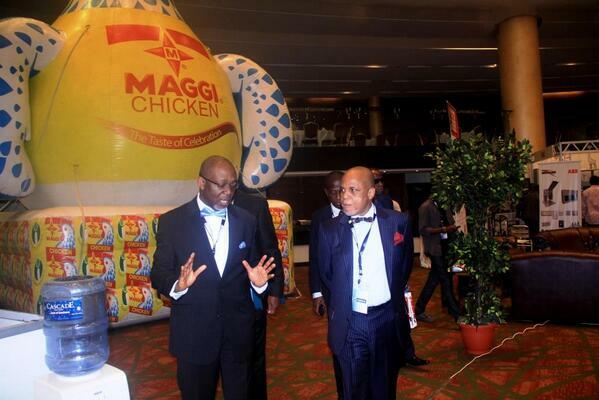 He noted that it is imperative for practitioners to stop their operations before it grows into an institution. Mr. Noah corroborated this fact stating that the menace of area boys must be tackled in the interim and also on the long run. Mr Jimi Awosika’s, speech on “The Importance of Creativity in Outdoor Advertising” is a direct response to my post on creativity in Nigerian brand adverts. The CEO of Insight Communications said that advertisers should desist from creating what he described as “wakapass” advertisements, regardless of their client’s preference. In his words “When consumers go past your advert without looking back at it, it is simply called wakapass creativity.” He therefore urged advertisers to be enemies of “wakapass” not only in advertising but in all human endeavour. Bunmi Oke, President Association of Advertising Agencies of Nigeria, spoke on the topic “Out-Of-Home Vs Television and Social Media.” According to her, all three media complement each other and cannot be run independently while running an advertising campaign. Speaking on the challenges of social media in Nigerian outdoor advertising, she highlighted the issue of poor internet facilities and inadequate electricity as key obstacles. 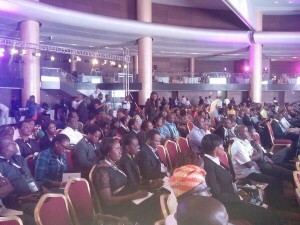 Other topics discussed at the conference include: OOH in Nigeria- State of the Industry by Mr. George Noah (MD Lagos State Signage and Advertisement Agency), Delivering the Message – Effective OOH Campaign by Mr Lolu Akinwunmi (President Advertisers Practitioner Council of Nigeria), Emerging Trends in OOH Advertising – LED Technology in Africa by Ms Amal Siewetsen-Cheikh-Lahlou Sales Rep Rotapanel, Outdoor Advertising Regulation in Africa – Helpful or Harmful by panel of discussants, A Practitioners Perspective – Establishing an OOH Agency in Nigeria by Mr Steve Ratlou (CEO Primedia Africa). Next article‘Can You Hear Me’ Short Film – A Revenge Ad By Etisalat?